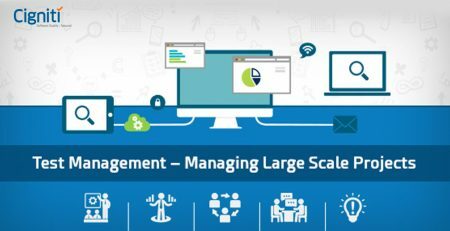 As discussed in ‘Test Management – Managing Large Scale Projects’, even though there are many challenges that an organization may face while implementing and managing the computer software testing process – STLC – most of these challenges may be overcome using the best practices available. A properly followed test management life cycle helps consistently meet and exceed the customer demands in terms of product quality. The race among organizations to reduce the time to market with the best quality products is laying an even greater stress today on such a framework than ever before. Being the center of attention, if followed properly, the process will lead to better products, and thereby more satisfied customers. 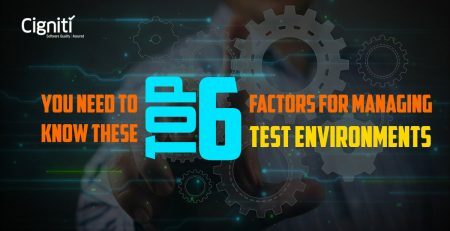 In this article I will try to explain 9 best practices that will lead to an effective test management environment. 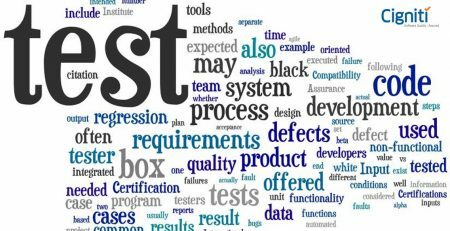 Best practices for Test Management include keeping the test effort organized with well-defined processes and systems in place. Since different projects may have different specific testing requirements, an effective test management process can deliver a predictable and repeatable process. Processes that are predictable and repeatable are usually easier to estimate and plan which help the overall management and control of a project. a few test cases have been written or if they can be extracted from the initial software requirements. Software testing must be performed iteratively. This risk-based approach helps generate important testing assets and also helps reduce problems going ahead by garnering focus on bugs or any unwelcome delays early on in the cycle. Recycling and reuse of test procedures, test automation objects etc.– even though have become overused terms – always help enhance the quality and efficiency of a product, and of teams too that can save a lot of time and effort by this simple strategy. However, it requires test management skills to be able to foresee if a certain asset can be reused in future. Different strokes fell different oaks, they say. Similarly, to perform different types of test, such as agile, security, mobile, big data and analytics, etc., you need to follow different testing approaches that suit the specific kind of test management framework. In other words, try to follow a requirements-based testing approach that not only helps in system/application validation, but also helps in calculating the testing efforts needed. Utilizing the skills and an effective coordination of co-located resources is the need of the hour as it helps overcome resource issues, maximize productivity, and improve timelines – thereby improving ROI. To overcome the inherent technical challenges involved, proper tools and channels such as utilizing Web clients or automatically replicated data must be used. Because different projects have different testing needs and require different testing effort, we need customizable test management processes for creating an automated workflow. This process should be repeatable, and also allow for further optimization and modifications as per requirement. For a successful test management implementation, it is extremely important to clearly define the process along with the workflow – and then enforce the same strongly to be followed by the team. This is especially true if your organization adheres to strict regulations such as CMMI-SVC v1.3, Maturity Level 5, ISO 9001:2008, ISO 27001:2013, or HIPPA. These standards need to be audited and thus have strict compliance needs for validation. To achieve maximum communication and seamless integration of a product testing environment, testing and development teams need to work in complete tandem with each other. This improves quality, reduces any communication issues, and brings to the fore any missed details. The thing with proper communication is that if not made at the right moment, it might also cost an opportunity. Proper test management involves complete sharing of all relevant data such as goals, status, etc. in the right format, at the right time, to the right stakeholders, for a project to be successful. Performing the many tasks involved in test management involves a lot of time and effort. Utilize Specific Test Management Tools – commercial or open source – to reduce the time spent. While most of these test management tools need to be installed in-house, there are others that can be accessed as Software as a Service (SaaS). For example, HP ALM/Quality center, QAComplete, Silk Central, Zephyr, JIRA, and IBM Rational Quality Manager. In short, it is recommended to use newer approaches for implementing a successful test management scenario. Following the best practices suggested herein will help overcome almost all sorts of obstacles. Cigniti Technologies is an organization specializing in the area of Test Management that has a team of highly skilled, co-located software testing professionals who ensure delivery of quality products that help quicker go-to-market and also control efforts and expenses.